We Have a Flower Burglar! 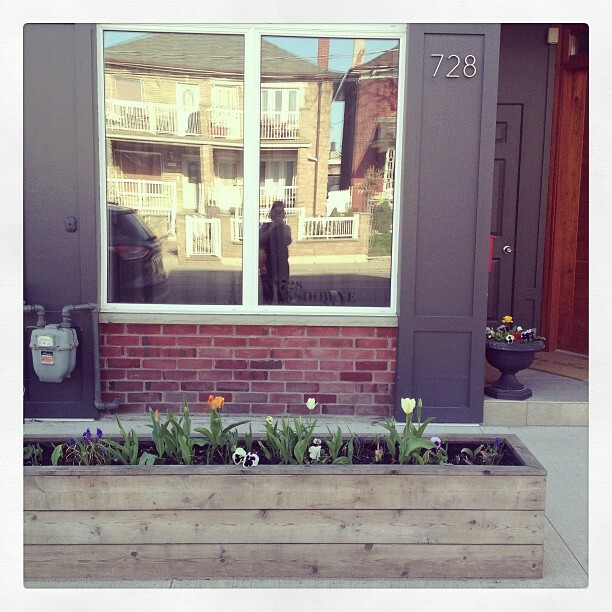 Not long after we moved in, we built a large planter box out front of the Storefront. It makes it look a bit more homey, and keeps people from peeping into the storefront window. 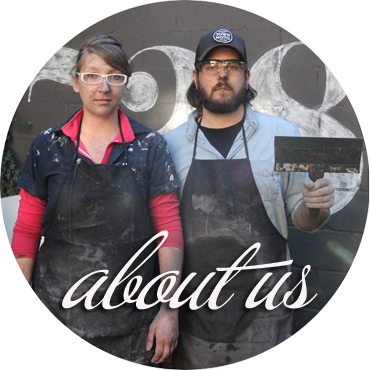 Last fall, we also added a black urn right underneath the mailbox. You can see the urn on the right of this photo, up on our little front stoop. I Instagramed the above pic on Friday afternoon. Little did I know this would be the last time I ever saw that urn. You see, when we left the house to walk the dog on Saturday morning we found the urn gone. Last I checked, planters couldn’t up and walk away. However, it was nowhere to be found. 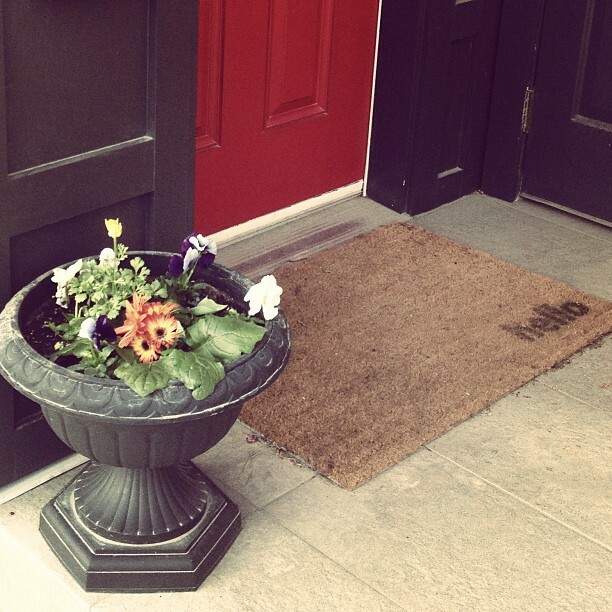 Someone stole our urn, along with all the flowers in it. We have a flower burglar. How do we know this wasn’t a neighborhood hooligan (haha) stealing the planter in a drunken moment of looting? Well, this isn’t the first time this has happened. We have had a holiday planter taken, two evergreen shrubs dug up and carted off, and two summers ago someone literally came and dug up every single red flower we planted. To make matters worse, Sunday I came out to find tulips dug up, and this morning even more were missing. By this point in time, we’re pissed. We’re trying to make things look nice, and someone thinks they can just come and pillage our landscaping like we’re a free garden center. We have an idea of who the thief is (there was an eye witness account of one of the thefts, as well as “evidence” as to where the plants went), but nothing concrete. We also would like to avoid starting a neighborhood war if we are in fact wrong about our suspect. So what would you do if you were in our shoes? Would you put up “missing flower” posters like Missing Missy? Would you confront the suspect? Set up surveillance? Vote, and help us decide what to do about our flower burglar. What should we do about the flower theif? We will check back in next week with the results of the poll, and what we decided to do. All of the above! Seriously, I would try to get proof, then confront, nicely, and ask them not to do it anymore. And, if that doesn't work, call the cops! Stealing is stealing. Did you know, in the past in Holland, a house's value was determined by how many tulips the gardens came with? The bulbs were worth more than the house itself! Is the suspected thief Dutch, by chance? Not dutch, just mean! haha. I am determined to get to the bottom of this flower mystery! ugh. Who the hell steals a freaking urn and digs up flowers?! I'd be so pissed off, too. I don't think it's the same thief as the railpath. I believe this thief is a bit closer to home, as they had to watch us leave the house then run over and dig up plants. They're ballsy, I'll give them that!